Dr. Book graduated from Oregon State University College of Veterinary Medicine in 2008. After finishing a small animal rotating internship at Washington State University, she went on to complete an oncology residency and Masters degree at the University of Illinois at Champaign-Urbana. After becoming ACVIM board certified in oncology in 2012, she worked at a private practice in Portland, Oregon for 3 years. Her professional interests include bone cancer, mast cell tumors, and immunotherapy. 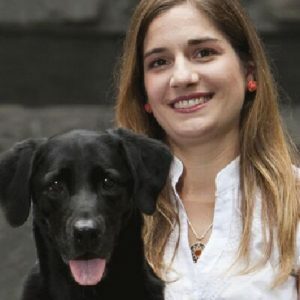 Dr. Book has a passion for educating clients and the veterinary community about oncology. She works with her clients and patients to focus on goal-oriented decision making, putting an emphasis on quality of life. Outside of work, Dr. Book enjoys running, hiking, fishing and spending time with her family. She shares her life with her husband, daughter, dog, Phoenix and cats, Sidney and Luna.